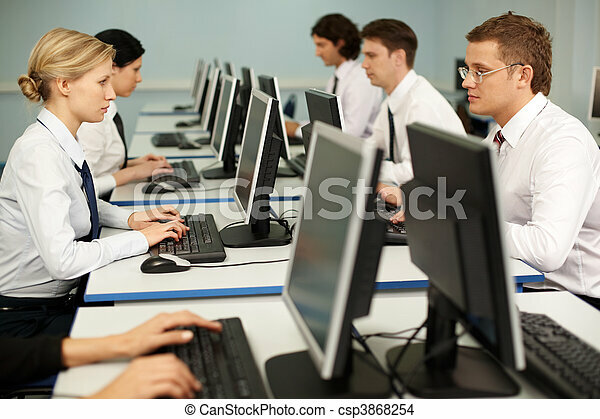 Computer work. 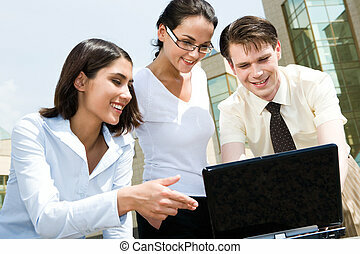 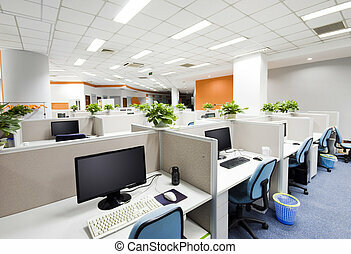 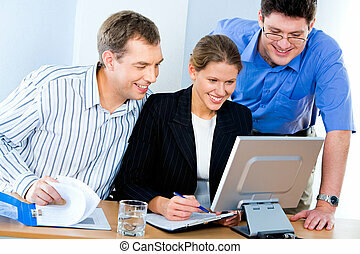 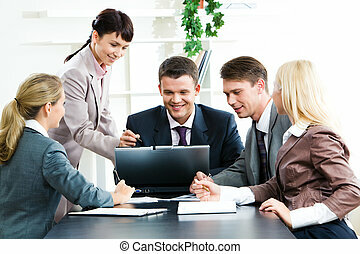 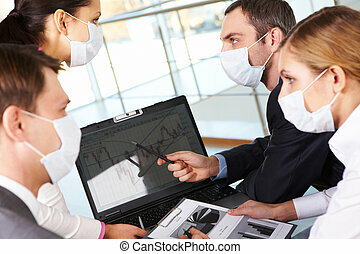 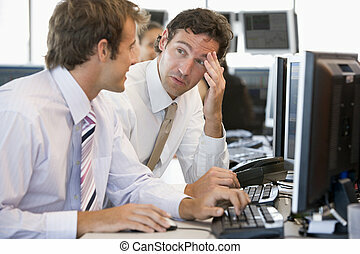 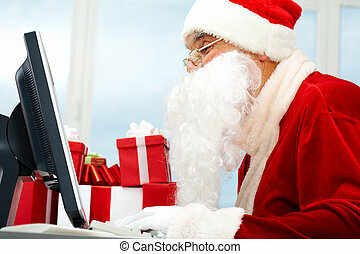 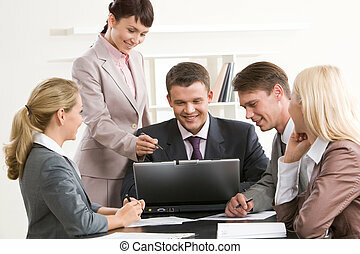 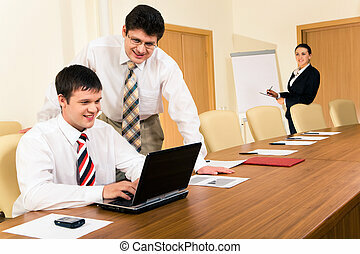 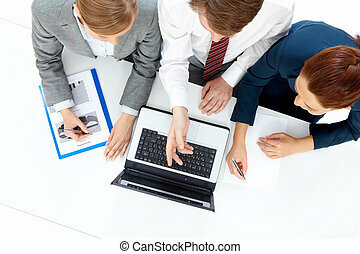 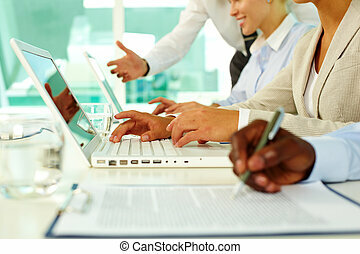 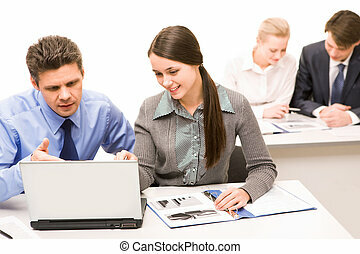 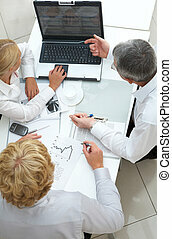 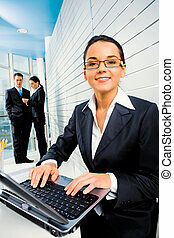 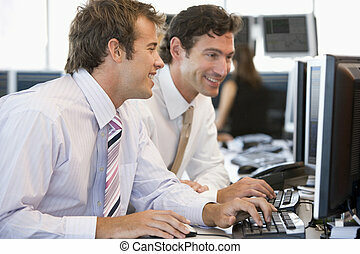 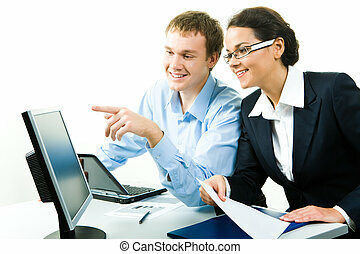 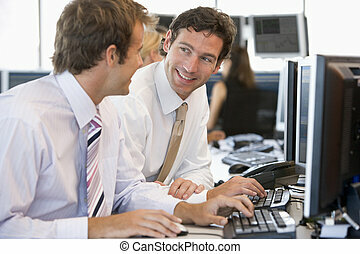 Photo of confident businesspeople doing some computer work. 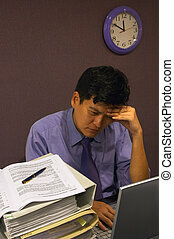 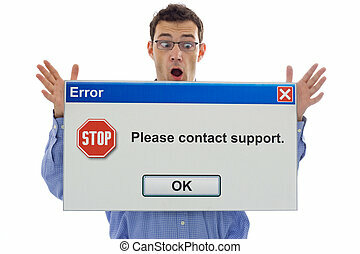 An employee under stress with a headache rubbing his forehead while working late into the night. 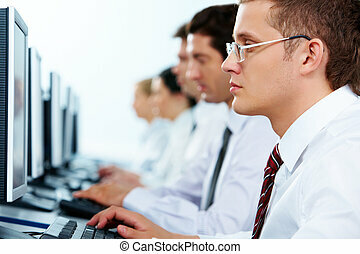 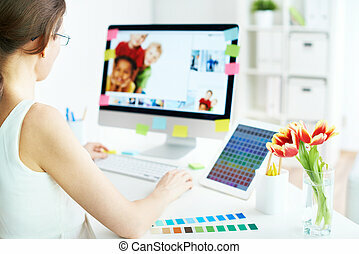 He is surrounded by his work - computer and piles of documents and the clock shows close to midnight. 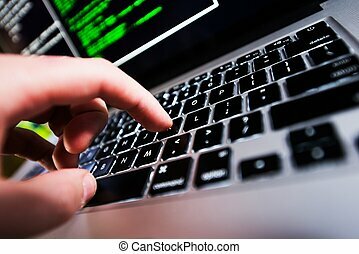 Computer Works. 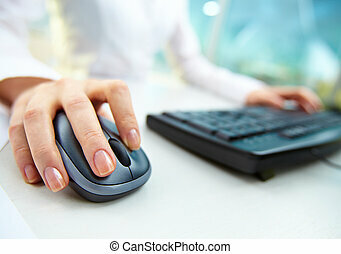 Hand on Laptop Keyboard Closeup. 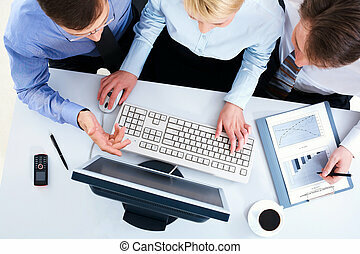 Computer Technologies. 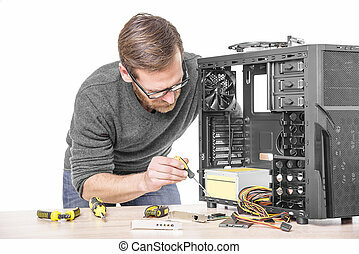 Computer repair. 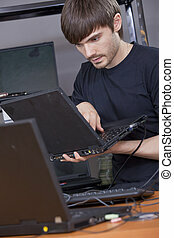 Computer technician working on a personal computer. 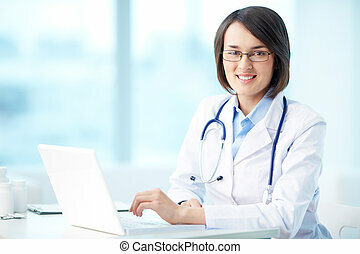 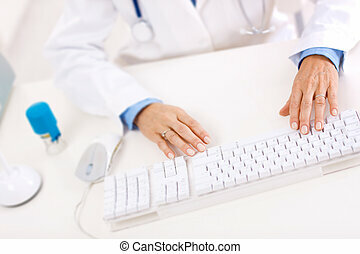 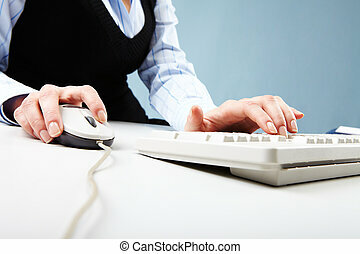 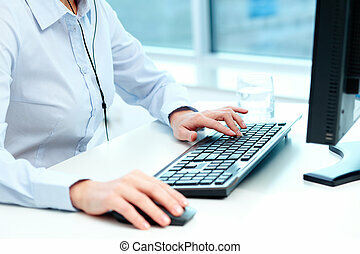 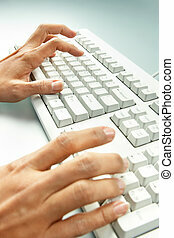 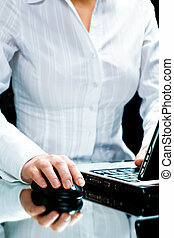 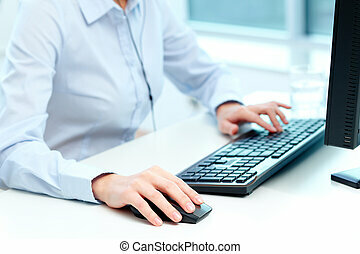 Closeup of hands of female doctor typing on computer keyboard. 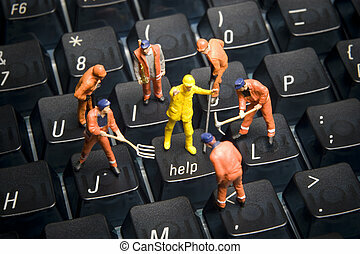 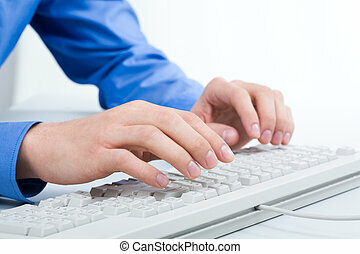 Worker figurines posed to look as though they are working on a computer keyboard. 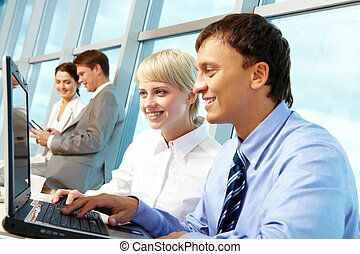 Happy young man in t-shirt sitting on sofa at home, working on laptop computer, smiling.